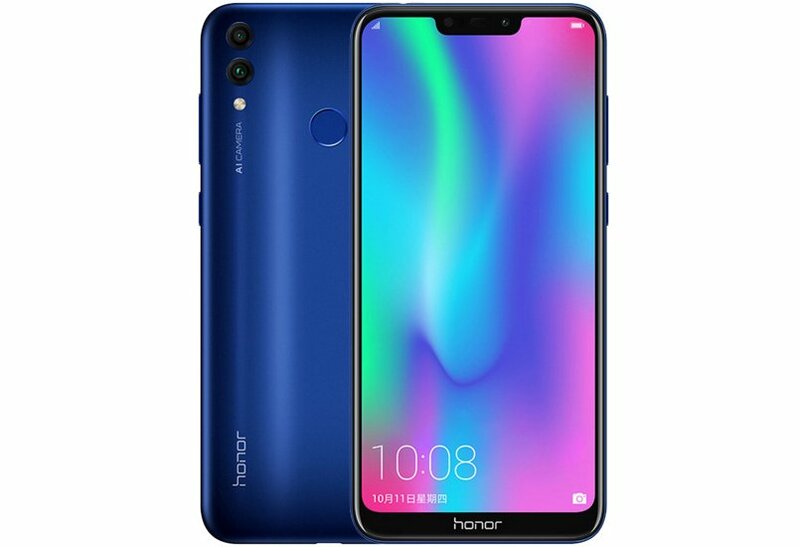 The Huawei sub-brand Honor today launched a new mid-range smartphone called Honor 8C in India. The smartphone comes HD+ display with a 19:9 display panel and a traditional notch, a Qualcomm Snapdragon 626 processor, face unlock and many more features. In terms of specifications, the Honor 8C features a 6.26-inch HD+ display with an aspect ratio of 19:9. The device has Qualcomm Snapdragon 626 processor coupled with 4GB of RAM and 32GB or 64GB internal storage options. Both the device provides a microSD card (up to 256GB) support. It runs EMUI 8.2 based on Android 8.1 Oreo. For the photography department, there is a dual camera setup comprising a 13-megapixel sensor and a 2-megapixel sensor on the rear. On another side, it has an 8-megapixel front facing camera for the selfies and video conversations. The smartphone has 4G VoLTE, single-band Wi-Fi 802.11 b/g/n, Bluetooth v4.2 LE with aptX, GPS/ A-GPS, GLONASS, BeiDou, a Micro-USB port, and a 3.5mm headphone jack on the part of connectivity. Sensors on board include an accelerometer, ambient light sensor, electronic compass, fingerprint sensor, and proximity sensor. The Dual-SIM smartphone is backed by a 4000mAh battery that supports 10W charging. Just to recall, the device was earlier introduced in China in the last month. In China, device costs 1,099 yuan (roughly Rs 11,100) for the base variant and 1,399 yuan (roughly Rs 14,200) for the top-end variant. But, It was speculated that Honor will price the top variant somewhere around Rs 15,000 India. However, the official announcement revealed that the smartphone will be available in two storage variant – a 32 and 64GB for Rs. 11,999 and Rs 12,999 respectively. Both the smartphone variants come in Aurora Blue, Magic Night Black, Platinum Gold, and Nebula Purple colour options. The device is expected soon to go on sale exclusively via Amazon.in and HiHonor Store starting from December 10, 2018.